← Vegan Black Metal Chef – Indian Feast Of The Gods! The Vice is a super low profile Vegan skateboard shoe. Surprised right? As If Fallen has never made a shoe like this before. The upper is all canvas upper with one solid toe cap piece. The vulcanized gum sole hugs close for an extra slim feel. The tongue is slim, but the collar has a little bit of added padding despite the low cut. 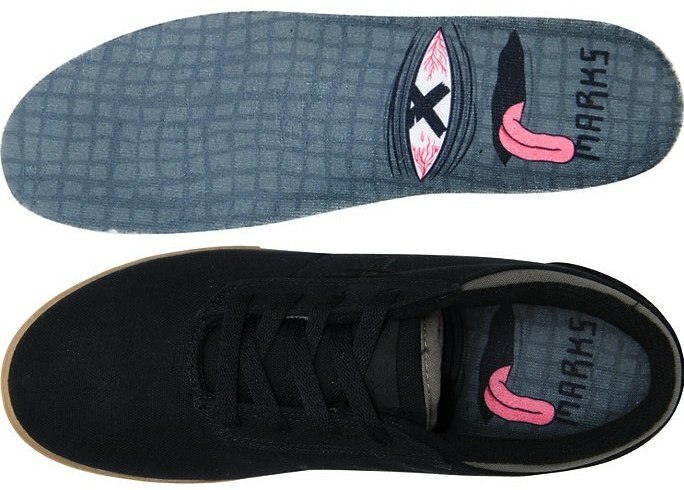 This is a Billy Marks signature shoe, so has some excellent Toy Machine styling hidden on the insole. Just check out that tongue, bleh!